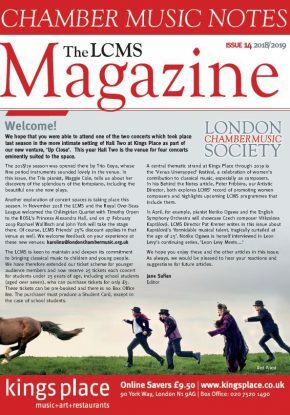 The London Chamber Music Society is based at Music Base, Kings Place, situated just a few minutes walk from Kings Cross and St Pancras stations, one of the most connected locations in London and now the biggest transport hub in Europe. See below the map for detailed travel advice. For more information on travelling to Kings Place, please visit the Kings Place website. A note about parking at Kings Place: do not park on the cobbles in the main road – please make sure you line the car up with the kerb. 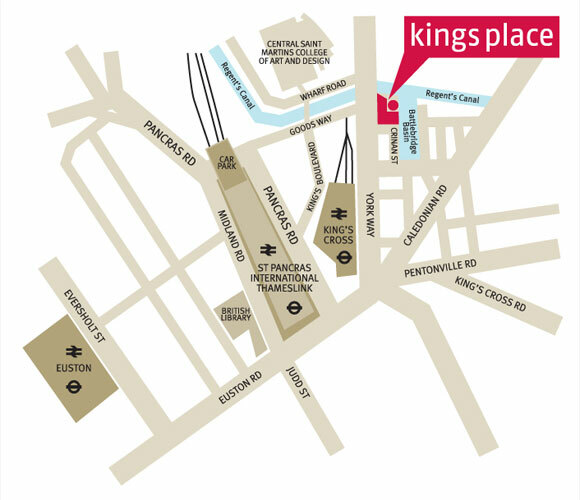 For more information on parking at Kings Place, please visit the Kings Place website.